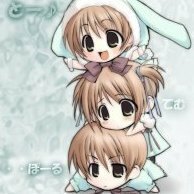 tl;tr: here is everything what you need if you are a newbie and want to run the own server in less than 5 minutes on your Windows PC. Everything else explained in the video and below, and in readme.txt. Just scroll down and download the whole package folder, and while its downloading, watch video above, and you will understand how easy everything are. This is hard for newbies. Because you will do a lot of mistakes because you can't know the different details. This is super easy, is not it? I have prepared for you almost everything, to make sure that you will skip the painful newbie entry point with making it just work. This package can be used as a template for building your own server (if you really wish to and will be stuck somewhere). without waiting for any updates from my side. I made almost everything what you need to keep always up to date emulator. Please download the whole folder what you see if you are a newbie. Please read readme.txt before asking any question. 1. Check video related to the package: https://www.youtube.com/watch?v=bYKSyzNwWK0 first. 2. If you still have questions, just read this big whole text document. 5. I'm active in helping in my topic above. 4. All mechanic and mostly 99% of logic calculated at emulator. A game client just to display it on your screen. This is super easy, is not it? I have prepared for you almost everything, to make sure that you will skip painful newbie entry point with making it just work. This package can be used as a template for building your own server (if you really wish to and will be stuck somewhere). Please continue reading about each component in more details and it will solve many questions. This is a folder where you will find 2 more folders. and automatically update itself at gitlab when new updates applied to original repo. I made this step (mirror repo) for avoiding wrong pushes from newbies to GitHub official repo. Each server mostly the same and at the same time have differences. so you can easily understand what changes have been applied to the emulator. Please check each file to understand what has been changed. I talk about MySQL login and password. Please do it! You can leave everything as is, but it's very insecure. 4. Make a new user at MySQL database and remove old user. Where `mysweetuser` and `theuserpass` please replace with your own credentials. 9. At this point, you have changed your credentials. 10. Try to run the emulator, if you did it correctly, you will be able to connect to MySQL and emulator will run without any errors in console. This is a folder where you will see packed already in GRFs client required file. Please, do not mix these folders. Inside this folder, you can find mirrored git repositories from official owners of these repos. and will not make any mess inside official repos. 3. Enter command: "git pull origin"
5. When process will be done, do next. 8. Wait until all files will be downloaded. 9. Now you need to create a new folder name it for example "preprefolder"
from RENEWAL folder. It's easy to understand and make an update for yourself. Note: don't update everyday clients. Note: you cloning files from remote MIRROR repo, which is updated at the remote host at gitlab by itself when new updates released. Please note: there will be no guide how to do it, google for it. Note: I do not remember what patches applied to the exe in the package. This is OSpanel.io project. 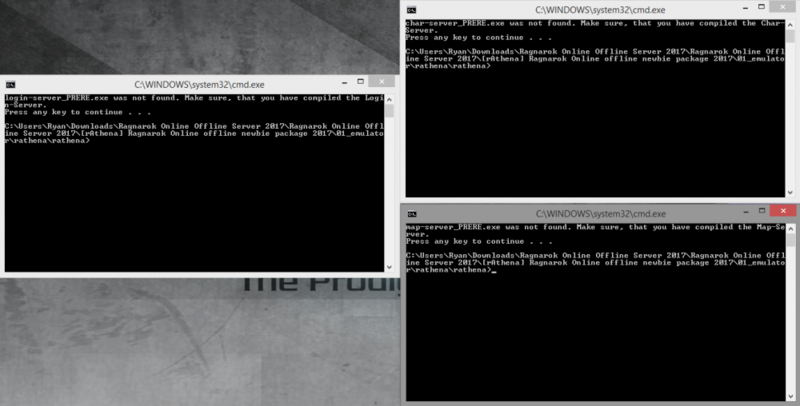 tl;tr: different servers packed into one bundle with all tools for an administrator. Inside: MySQL-server, PHP, Apache, nginx and so on. Easy to understand and configure and work with. OpenServer by default does not have any ROOT password. This is very insecure. But added a setting inside config to make your OpenServer not visible outside internet. This bundle setup you can use for your own needs too if you wish. For what is it needed? As you got, this is needed only for MySQL server. As you understand emulator store and take data from MySQL database. I will NOT support any bugs or problems what can happen with the bundle. This is very heavy and big complex package of tools, report about bugs directly to authors forum. This folder contains very important for productive development tools. This is almost everything what you need for working with server and client side. Nobody will teach you how to work or setup it. Just try to google and play with these tools. THey are very helpful to save your time. Credits belong to their original authors. Some folders inside the folder are git repository which mirrors to original repos. That means you can always take latest up to date changes from my mirrored repo which is synced automatically. This is git + nice command line tool for working with repos. Without any mess, or trash files. These files DO NOT WORK by itself. to the game, client to make it work (of course depends on your server mechanic). 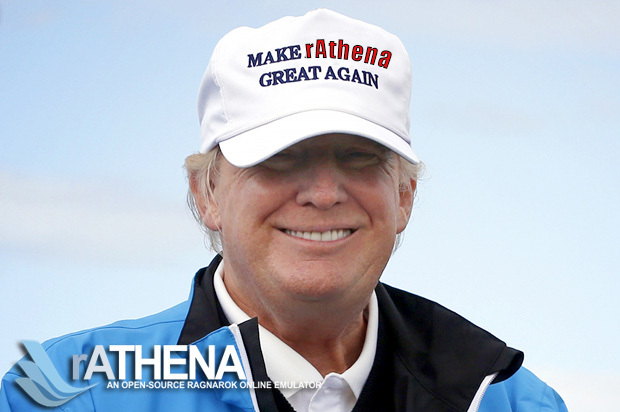 from the very big amount of people around rAthena/eAthena community. Kudos to a very big amount of scripters, different people who do tons of job. Everything in the package developed for free, for education purposes only. I will really appreciate any of your help. you can find an author of content what you like and do donation directly to he/she. - 01 March 2019 - fixed tons of issues, really a lot, everything upgraded, and fixed almost all what reported earlier. 01 March 2019 - fixed many issues related to the game client, turned off custom NPCs, updated emulators, recompiled everything, fixed earlier reported issues, re-uploaded and repacked everything to different hostings. If you want to update your package, search for my post on page 30. 12 February 2019 - many many many fixes to emulator, client, everything updated, and all known issues fixed. Everything is up to date and works great. 01 June 2018 - updated and repacked kRO client (merged rdata.grf into data.grf for reducing total size of full kRO client), updated rAthena codebase up to 01 June 2018, recompiled all servers, fixed reported bugs related to the VIP system, fixed crash issue with Gentleman Pipe, all download links updated, if you want to take the update, re-download the whole package. Hye Anacondaqq =) thanx for your post, for editting the database using server database editor what folder/path should i choose to edit the item? another thing how to we edit account level for example i make my own username and password so where do i need to open so i can change my account level to 99? I have added answers for your second question to main topic. 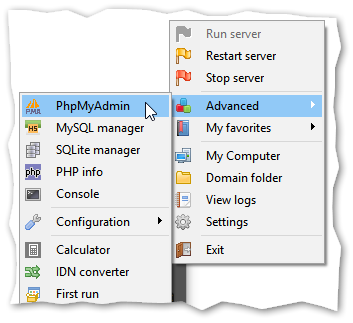 Q: What phpmyadmin or mysql login / password, how to enter to database? 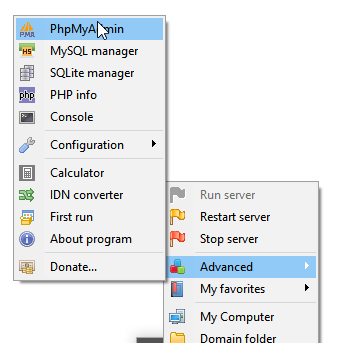 A: Run your OpenServer -> Then click on Green Flag -> Advanced -> phpmyadmin. Then enter to login: "root", and leave password field empty -> then click enter. Then select database "rathena_db", find table called "login" open it, find your user, and change value in "group_id" field to your own (0 =normal user, 99 = super user with all privileges). For more information please see groups.conf too. What do you see on screen please check for "numbers in cyan squares"? Then, do not forget to change Client Encoding and Server encoding to use always Korean characteres insteed of broken cp1251, or cp1252 encoding. Maybe in next versions and updates (not soon) i will add raw git repository with hidden .git folder and portable git client, who knows. But for now i don't have a time for that. 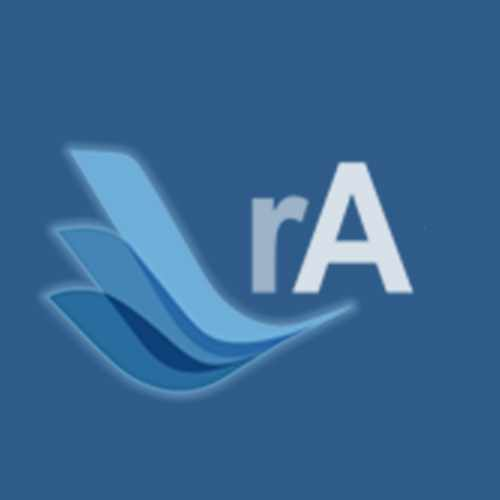 Just start with what you have, be sure, after some research how is configured, you will understand what setting is for, and when you decide to make your own server, you can always use rAthena folder from the pack as real example and compare with rathena taken from github repository to avoid mistakes or errors. About client side, it's not so easy at all, because client-side managed by 1 guy, and better if author of client-side will answer buy himself. about "how make your own server-side" which you will be able to update. First of all watch the video, to understand theory. then, take Visual Studio Community Edition 2015 (yes, size of it 8GB (LOL)) and install it (C++ support must be added in installer) you will use it everytime when sources changed to recompile your server. 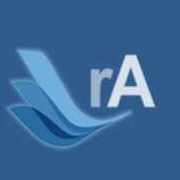 configuration part how to setup rAthena you can read here at forum. 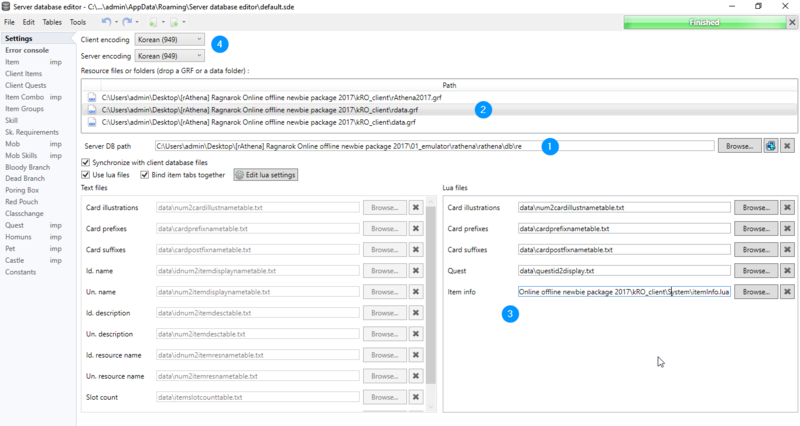 And see examples of configs at configured by me rAthena folder in the pack. OpenServer from the pack you will use as your MySQL server, because it's most powerful and most easiest solution what you can find at the market, which not bugged, and not complicated, and at the same time clean, stable, and effective with nice gui and set of tools which of course (at least phpmyadmin) you will use in your real life when you will learn rAthena. But the best what you can start to do, it's start to read complete documentation (yes, it's not good, and i hate it a lot, but i have bad english, and i can't suggest better documentation which available now at rA). Do note that if any of you ever want to make your servers public/online to players, do not use this. OBS: sorry for the bad english. You are a god, thank you so much. I was like, doing everything from zero until today, and BANG, a newbie kit. But, since I have reached out here without the newbie kit, can you give me a tip? Any clue of what can it be? (if I just tilt out trying to finish what I've already started, I'll delete everything and use your kit, but I really want to understand why is it happening to me in the final stage, and also, I want to make a online ragnarok private server, so I dont know if I can still use your kit). hello i run openserverx64 and click run server on the flag but it give me "Unable to take port 3306 because it is already in use: mysqld-nt.exe". note that i already have older mysql from my old server that im currently playing on my computer. what should i do with this? Disable your "old" mysql-server (mysqld-nt.exe) while you are using OpenServer (open-server has his own mysql server). I don't know what is "mysqld-nt.exe" and how to turn it off, but i guess if it comes from official installer of mysql-server for windows, that it already at your services. So find service (i can be wrong) called mysql and turn it off, and enable it only when you need it. Or move all your databases to OpenServer (if you wish) to avoid any confusion in future. I don't know what is it can be. 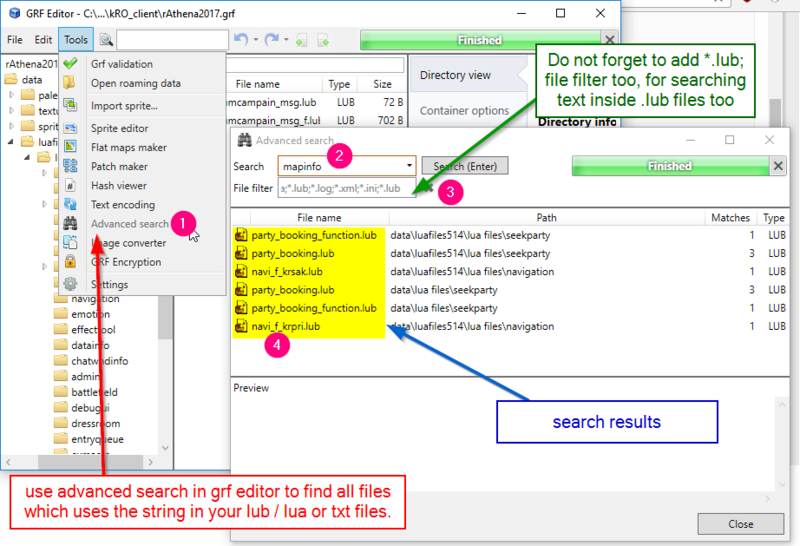 You can use GRE Editor to catch all files which uses the word of error in client files. I guess it's something wrong with LUA files, but i don't know with which one. Mine package do not have GRF which has pallets what you have setted up in config file. If you wish add your own pallets, download grf which related to your pallets numbers in config, and add to data.ini file to load this grf file with pallets. @tepek already answered above, but all account data not use any hash algorithm, and all data in raw plain text in your database. etc tables important, but you better research them later with some experience. At this package you have as i said before - full set of everything to easy managment EVERYTHING. So, in your case your problem related to database. Database hosted in mysql-server. So you need open edit editor to view database and read value from it. For this you need for example phpmyadmin (which you can already have) or adminer, or even HeidiSQL. 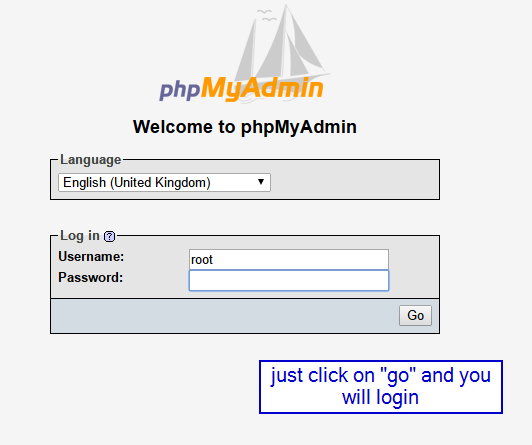 I suggest you to use phpmyadmin. restart game-server to apply effects. i made this package for newbies, because it's time to bring new fresh blood to rAthena development and bring new wave of developers here, + need to help people who wish to play offline, but dunno how to do it. This is not "separate pack or project", it's just "tuned" things what you see around rAthena and developed only for saving time for people. everything here what you see were tested, and tuned, it's works in my opinion - perfect. @Anacondaqq hi sorry to bother you.. but i have something to ask.. i dont know how to explain it in code term.. but recently kro made update about double critical attack. https://github.com/rathena/rathena/issues/1788 so lets say i want to update this new double attack in my 'old' server.. how can i do it? First of all - this update has not yet been developed and is not implemented in the emulator. Second, this emulator comes without .git folder. Perhaps in future versions I will change the emulator a bit and I will provide a git clone of the repository from the github, but these changes will not be soon presented. The package of files presented in this topic was not created for updating and development, but for helping beginners to quickly start using the emulator for their own purposes. Read the official guides and bend the emulator branch to your PC and configure it for use with the gaming client and OpenServer from this package. You're doing God's work OP, I have been waiting so long for someone to release this. Thank you! First of all, i'd like to thank you for sharing this. I've always wanted to have my own server and here it is, thanks to you! One problem i'm facing right now is that I can't run the server as pre-renewal "runserver_PRERE.bat". Although i've tried running "runserver.bat" the renewal one and it seems to be working fine, but not for the pre-renewal. Below i've shared a photo to see what's going on. 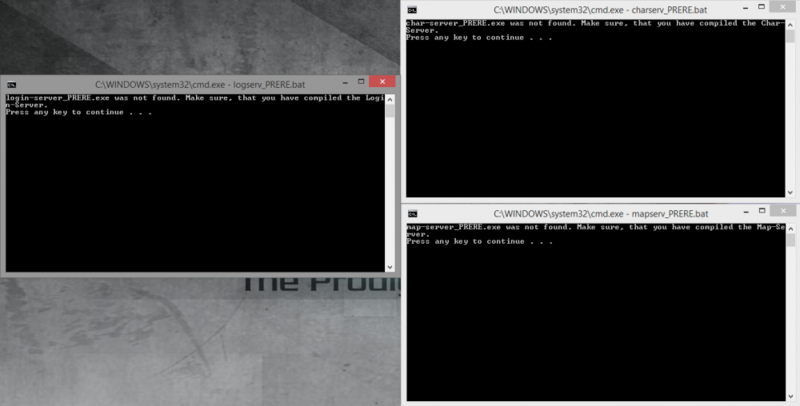 First image shows and says that login/char/map-server_PRERE.exe was not found. Make sure, that you have compiled the login/char/map-server. Press any key to continue. Second image, as I press any key it shows this. I hope you can help me with this one, appreciate it, thank you! Follow! Nice ! How your setup database mysql for offline and make it like portable ? @Anacondaqq i try running your client with MySQL Query Browser and it works. one thing i notice is that your client using packet 55, but my server using packet 53. how can i change the client to packet 53? and i why is no clientinfo.xml in the client? Congratz for the pack! It's amazing! I just had one problem: when I open 2015-11-04aRagexe, nothing happens, although I can see the task on task manager. Also, when I open any other .exe file from kRO folder, there's just a grey screen, so I can never open the game. I've searched all over the forums and couldn't fix it. Could anyone please help me? I'm running it on a Windows 10 64 bit. Thanks, I appreciate any help. download opensetup, copy it to your game folder, and run. Then select your resolution and play.